St. John Catholic School teaches the Doctrine of the Roman Catholic Faith. Religious instruction is an integral part of daily lessons. 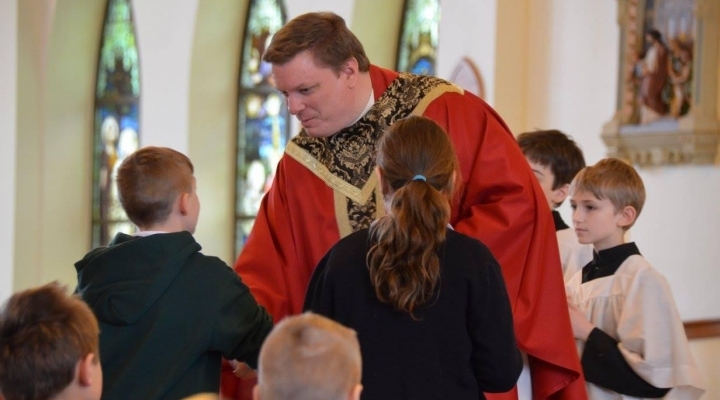 Children participate in daily prayer and attend Weekly Masses including First Friday and Holy Day Masses. Students in second grade receive instruction in the Sacrament of Reconciliation and the Sacrament of Holy Eucharist. Students in eighth grade may receive instruction in the Sacrament of Confirmation through the Parish Religious Education Office.